Some issues arise in life that make us ask big questions of our own actions or of our faith. These shouldn't be shied away from but looked at, addressed and discussed. This is why we are pleased to launch The Big Think. Each month a speaker or speakers will come and speak on a topic and give us the opportunity to discuss and question and hopefully be challenged and grow. 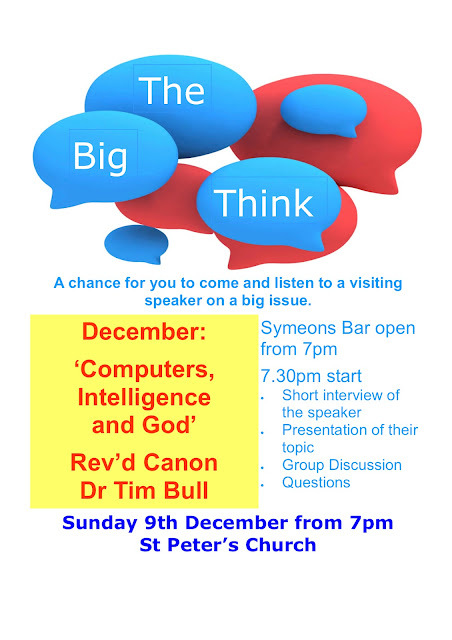 The Big Think happens on the 2nd Sunday of each month, and is preceded with a the chance for a drink before the session begins. We are really excited about this, and we look forward to welcoming you to join us.